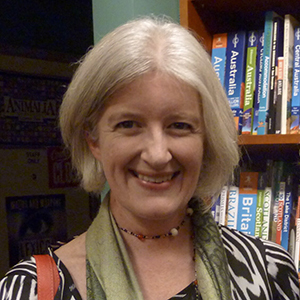 I first heard Melinda read at a Canberra venue with ‘local poets’ about ten years ago. They were all good poets but Melinda stood out – this was the real deal, here was an authentic voice who knew about craft. So I bought her slim, staple-bound volume, First . . . then and found the poems were as good on the page as they were when she read them. When she sent a manuscript to Pitt Street Poetry, John asked me if I knew her and what did I think. I think I said something like ‘read the manuscript’ but I can’t really remember. Soon after, John rang me to say that, although PSP’s year was full, he’d have to fit this one in – Melinda, he suggested, was Australia’s Wendy Cope. His faith was justified when Drag down to unlock or place an emergency call beat a host of luminaries to win the 2014 Prime Minister’s Award. And it richly deserved to do so. Command of a wide diversity of tone and subject matter, as well as consummate control of form, marked Melinda’s first PSP book, and while those qualities can again be found here, Goodbye, Cruel is a real step forward. Someone once suggested to me that, when you’ve got an achievement under your belt, you shouldn’t try to get better, you should try to get worse – by that, he meant you shouldn’t simply repeat what you know you can do, but you should try to do some things which are new territory for you, you should risk failure. I think Melinda has tried to get worse in this book, but I have to tell you she’s failed spectacularly, for every risk she seems to have taken here has worked. This is a terrific book. Let’s start with the title: Goodbye, Cruel . . . yes, we all know what the next word is, but it’s not there. The omission is a verbal wink – there’s the hint of a sly laugh in it. ‘There are so many clichés about suicide,’ it seems to say, ‘but can we just put them aside and start again?’ The second section of the book, from which the title is lifted, does exactly that – it stares down an act which many would see as the ultimate obscenity – returning the most essential gift we’ve been given. Why would you do it? When I was a secondary school teacher (for my sins I spent forty years in the wilderness of classrooms), we weren’t allowed talk of suicide with kids. It was always rushed over, mutely hushed, avoided for fear the very acknowledgement of the act would put its seeds in other young heads. In newspaper reports, when someone suicides it’s usually not articulated; death in such cases is ‘untimely’. The absence of stated cause becomes a whisper of shock, almost embarrassment. It’s as if the perpetrator/victim shouldn’t be further humiliated by the ownership of the act. From the child’s perspective, an ordinary day – the list of routines which seem completely average, harmless, capped with a horrific action as if it, also, was nothing in particular. The simplicity of the language not only mimics the child’s viewpoint but it begs the question – what prompted this? Yet, as the list of daily tasks builds to its awful climax, its pounding rhythm becomes oppressive – you can hear a rising tide of frustration in it. The child may not understand this, but we who find ourselves slave to a numbing tide of routines that imperceptibly overtake and control us – we understand. Whether we’ve peered into that dark abyss or not, we get it. I never once loved my body. costume into which I had been sewn. Too big, too floppy, too pale, too slow. to starve it, cut it, knock it out with drink. I’m sure the girls I taught with who had eating disorders – too many of them – would understand this as well. Goodbye, Cruel . . . when we get to the final poem of this sequence, ‘Contemplating the Gap’, the title and its omission take on a new significance – Melinda tells me she’s going to read this poem, so I won’t ruin for you, other than to say the sequence ends on a note of strength and hope. In the end, the poem farewells cruelty itself, celebrates life in all its frailty and imperfection. BRIAN LOVES Vicki . . .
There’s a sting in the tail there that leaves you wondering if laughter was the appropriate response to anything in the poem. Congratulations, Melinda. This book is a major achievement. John Foulcher has written eleven books of poetry, most recently 101 Poems (PSP 2015), a selection from his previous books, and A Casual Penance (PSP 2017). His work has appeared in national magazines and anthologies for over thirty years. In 2010-11 he was the Literature Board’s resident at the Keesing Studio in Paris. He lives in Canberra.